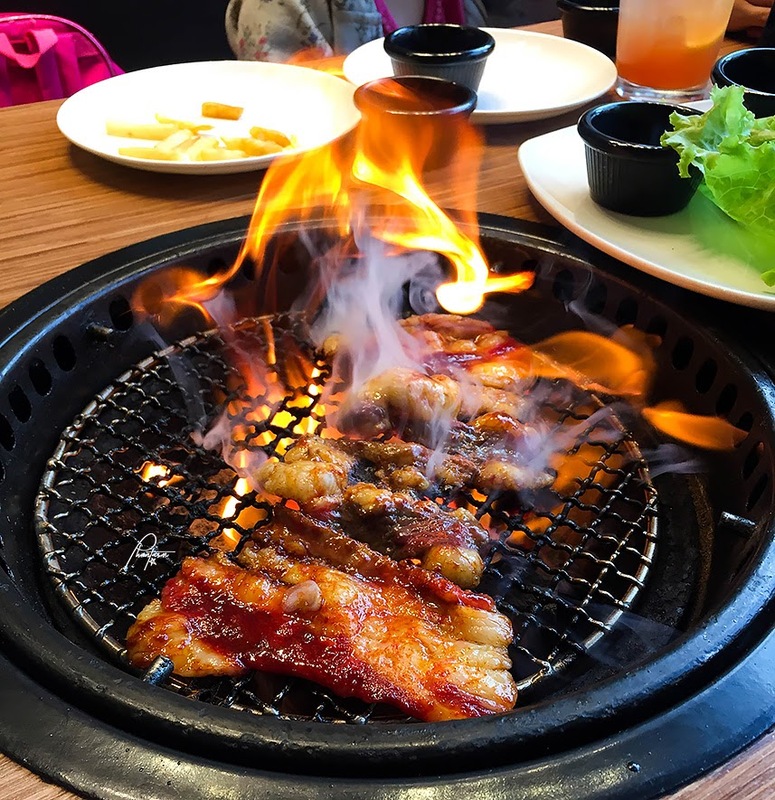 Gyu-Kaku, the worldwide leader in Japanese BBQ, is all set to satisfy you with their new eat all you can promo! 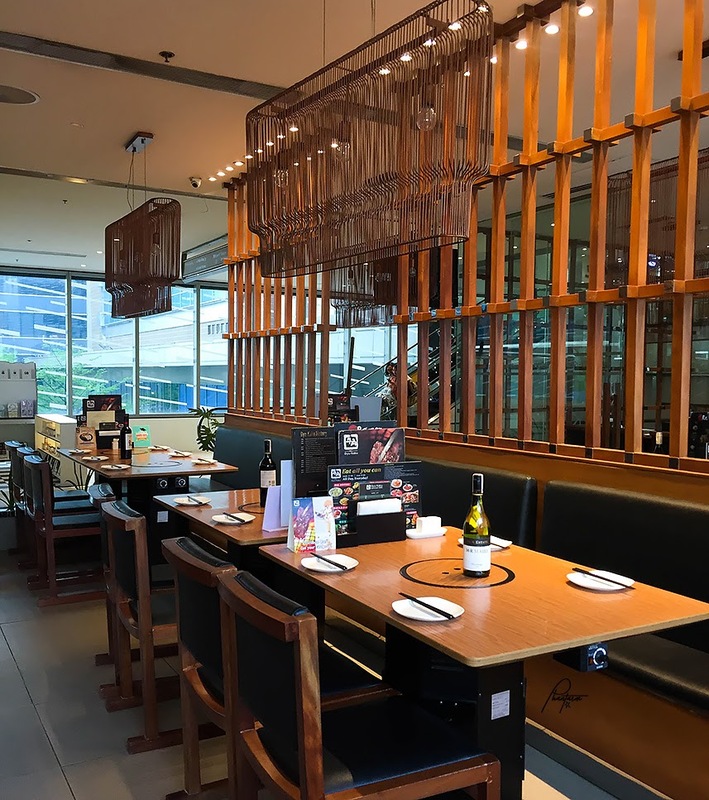 Gyu-Kaku's eat all you can promo is exclusive at their Shangri-La Plaza branch in Ortigas. 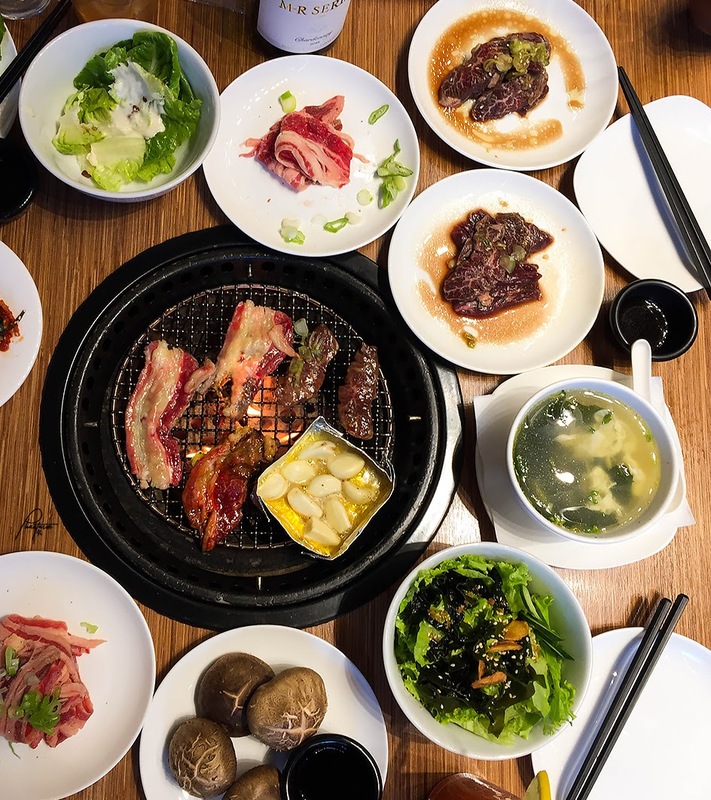 Gyu-Kaku has long established itself as a fixture among Japanese BBQ enthusiasts in the country. 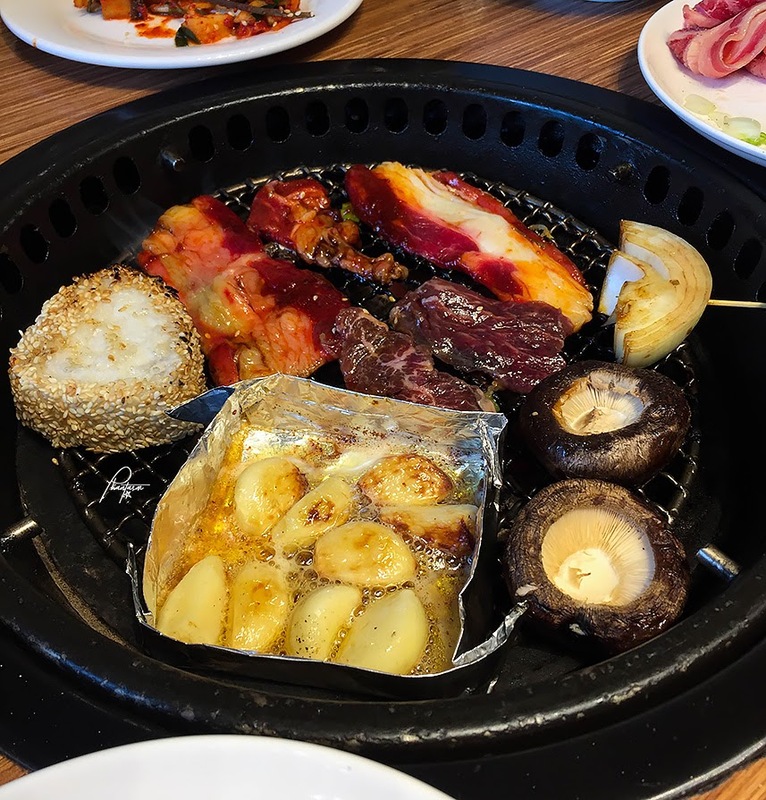 It all starts with their wide variety of premium meat and seafood which you can cook just the way you like it on their patented smokeless charcoal grill while choosing your flavor from their signature array of seasonings: Tare, Shio, Himalayan Rock Salt, Miso, Spicy Miso, and Miso/Shio with leeks. 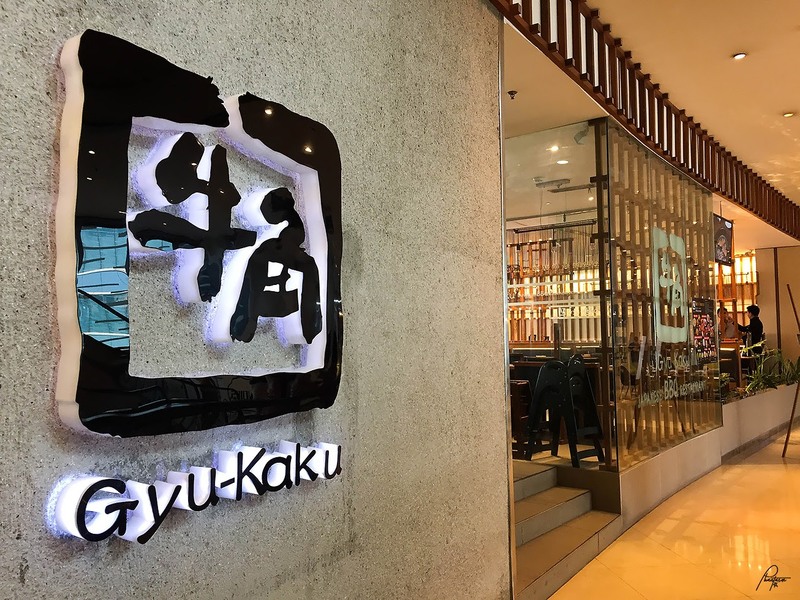 Gyu-Kaku also has a host of other Japanese menu items for you to choose from with their appetizers, salads, grilled appetizers, noodles, rice, vegetables, soup, and dessert. 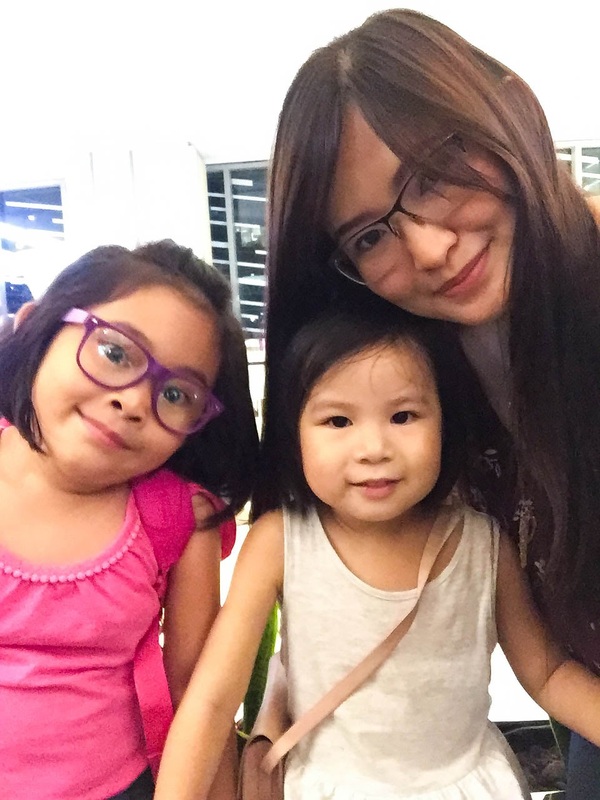 For only 799 Php for adults and 599 for children (children under 3 feet are free of charge), you get to choose among their wide selection. You can keep ordering to your heart's content for 90 minutes! First among the appetizers that I tried was the Yasai Chijimi. 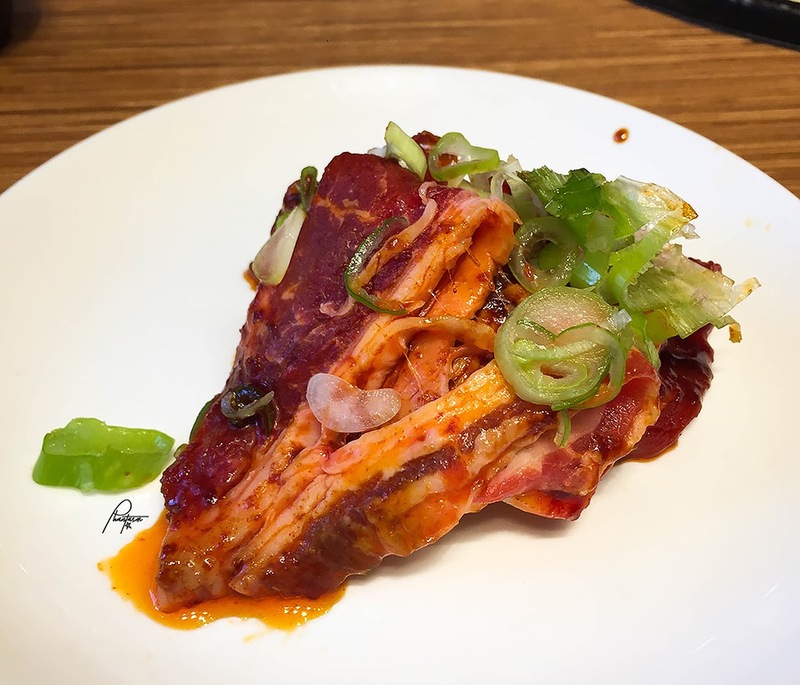 Chijimi is a Korean-style vegetable pancake which is quite similar to the okonomiyaki, however, the chijimi uses green onion instead of cabbage that's used in okonomiyaki and it's thinner than the latter. 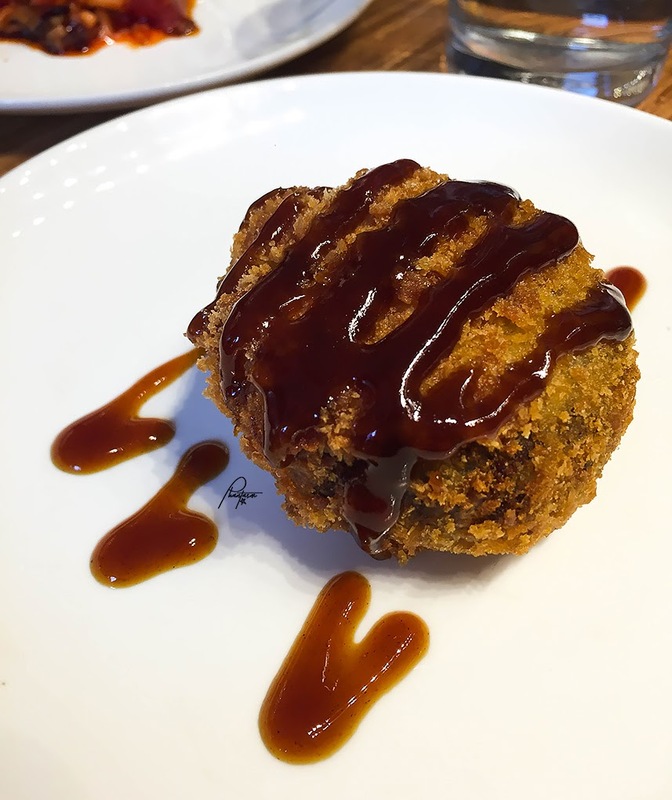 Their Beef Croquette has quite a crispy breading yet soft inside. 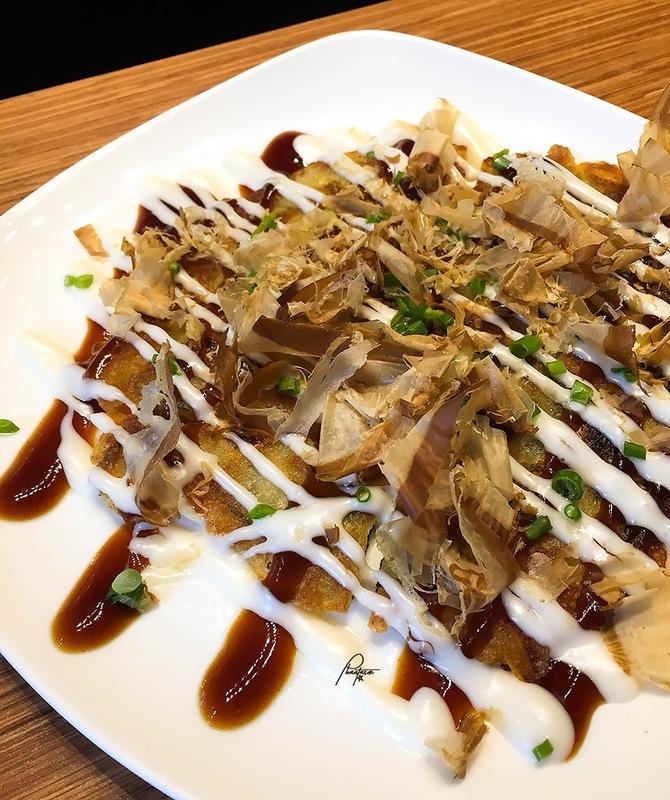 It's a mixture of minced beef with mashed potato, deep-fried and drizzled with okonomiyaki sauce. After some rounds, and as recommended by my friend, I tried their Fried Gindara (black cod) which is also good. This fish gives a good balance from the grilled meats from time to time. Brisket Blend. Prime cuts that include the superficial and deep pectorals. 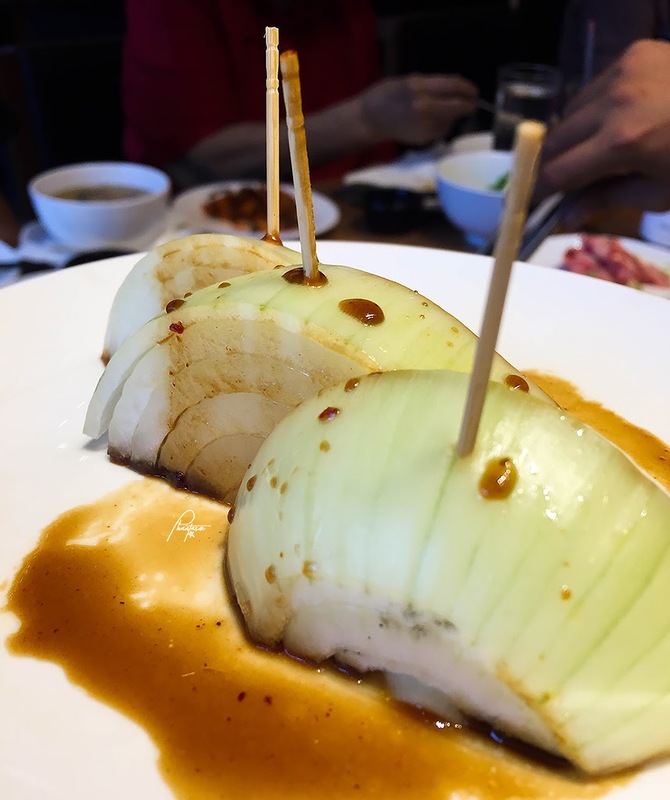 Good especially when dipped with tare sauce. Brisket Spicy Miso. Brisket in spicy miso marinade. I thought this was going to be really spicy but it was just right once grilled--I didn't notice the spice that much. 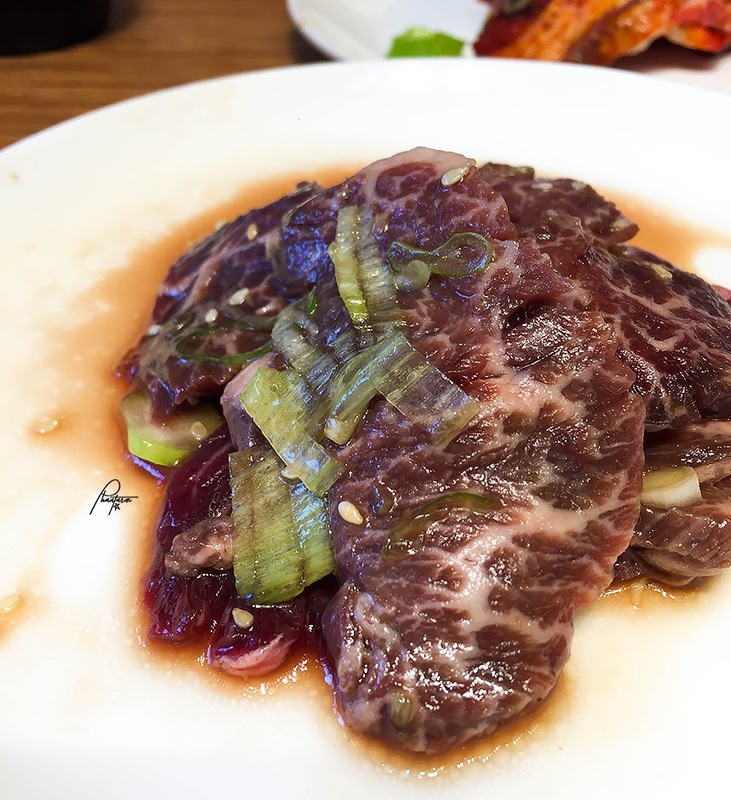 This is perfect with a bottle of Sapporo beer (beers are available at Gyu-Kaku). 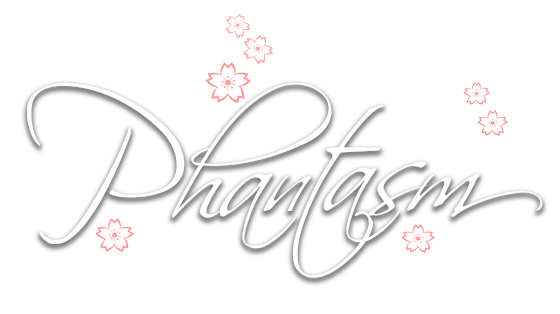 Harami Shio. 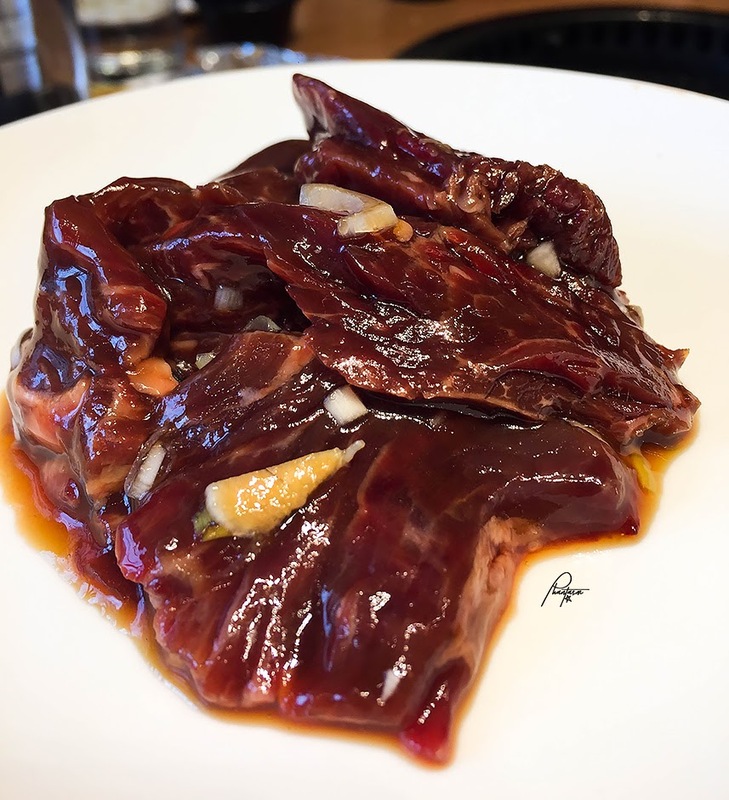 Harami is skirt steak in Japanese and shio is salt in Japanese. 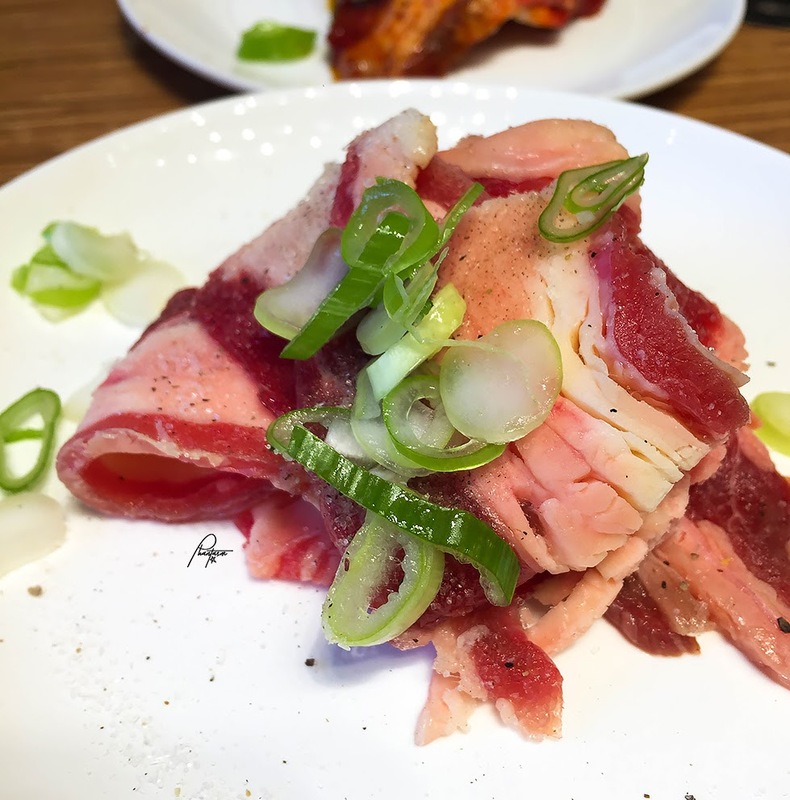 Harami is a favorite among Japanese ladies because of its low-fat content. Marbling is life for me, though. Knowing that they serve steak in their eat all you can menu, is already a great deal for me. Harami Tare. 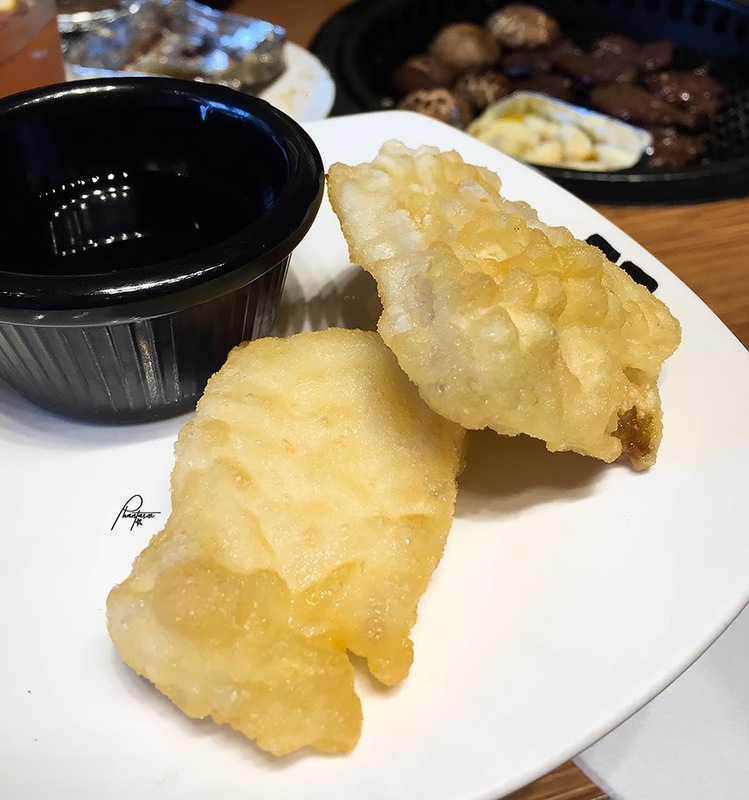 Tare is a general term in Japanese cuisine for dipping sauces usually used in grilling. Gyu-Kaku also serves Tare sauce on the side and it is quite sweet. The subtly sweet taste of the tender harami makes it quite addicting once grilled. Chicken Teriyaki. 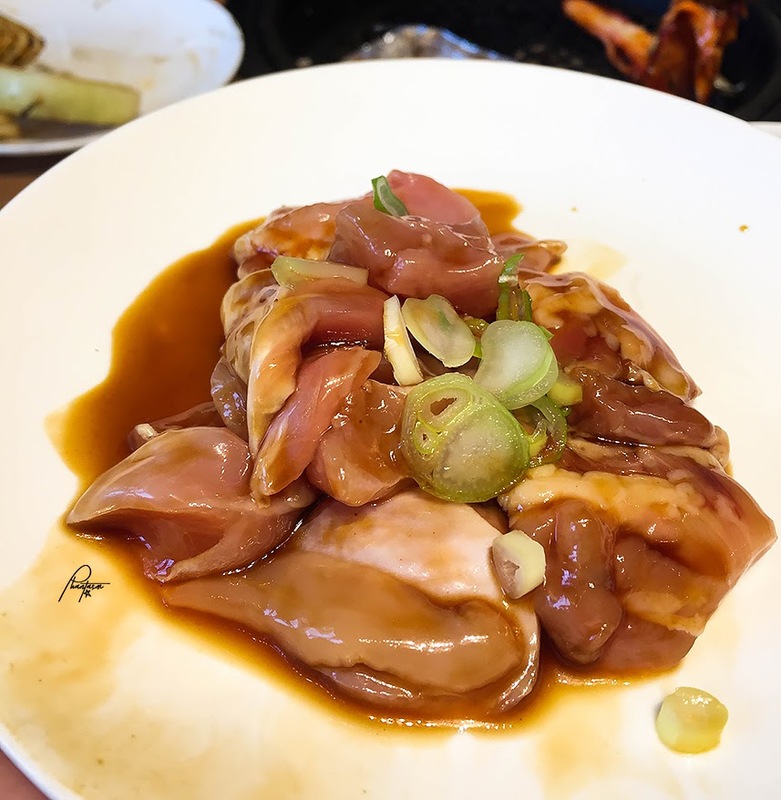 Chicken thigh fillet in teriyaki sauce. I wasn't expecting much from this dish since I was thinking, "it's just chicken." Oh man, I was wrong! The chicken teriyaki is good--juicy and tasty. 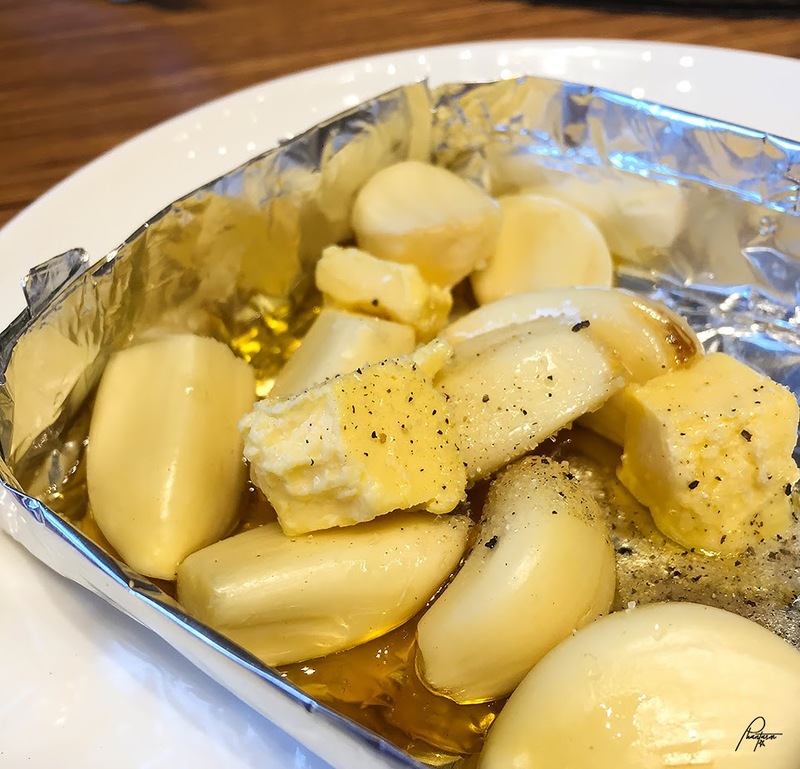 Don't ignore the grilled appetizers such as this Garlic Foil. It's a perfect dip for the premium meats. 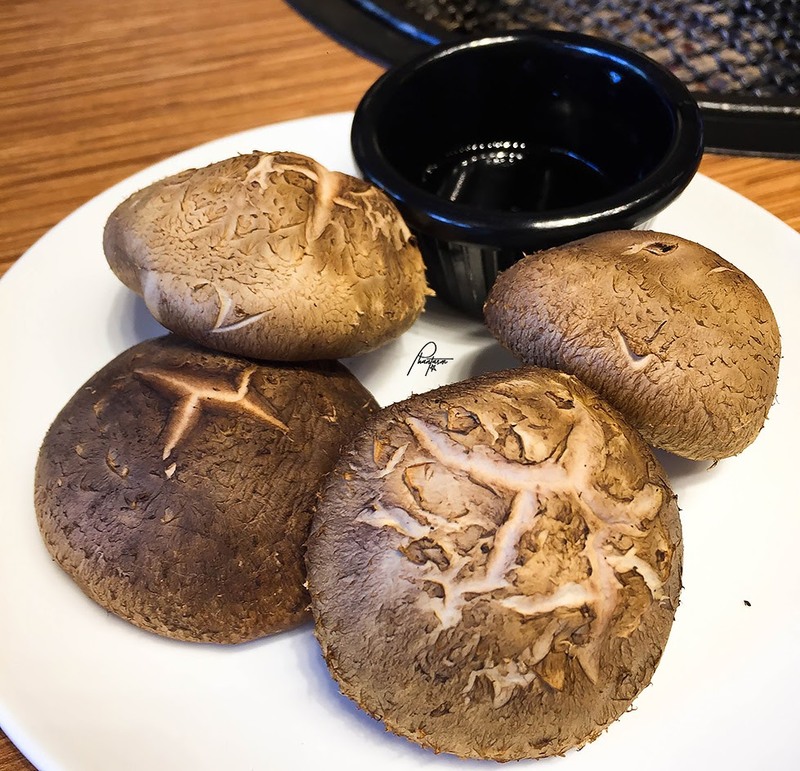 The Shitake Mushrooms and Onions are also a favorite side in our table. 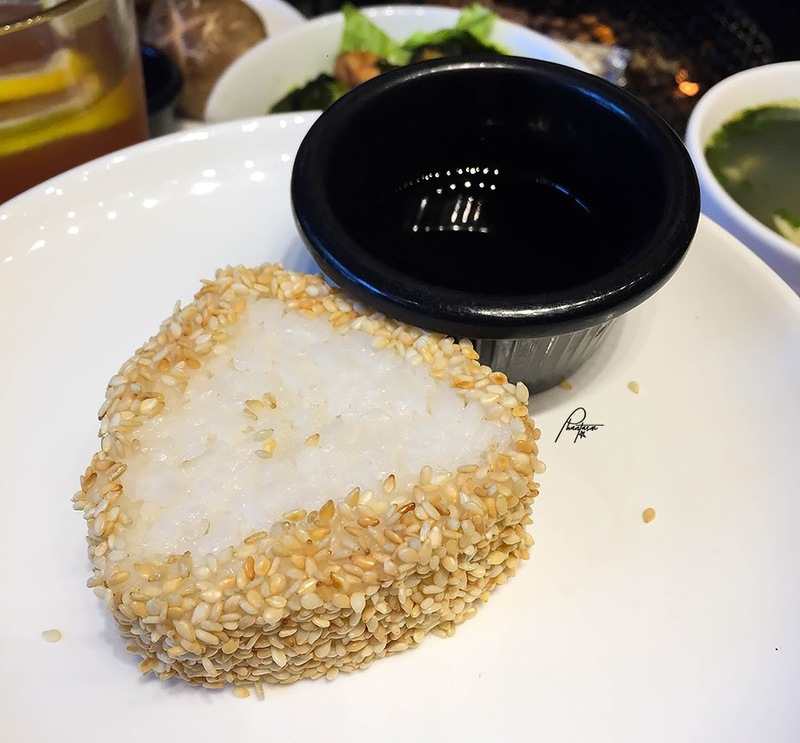 This Yakionigiri--rice ball covered with sesame seeds should also be grilled before eating. Who knew grilled rice is good? 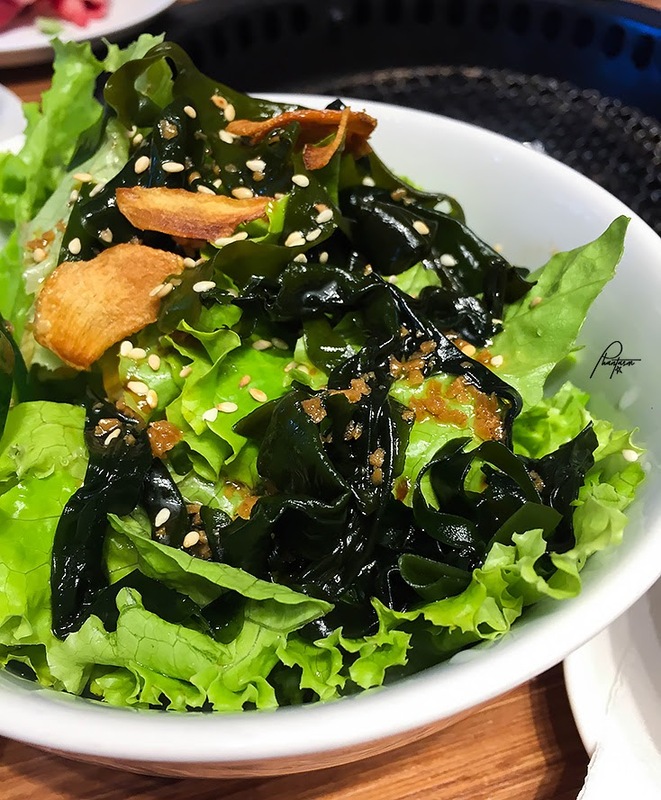 Taking a recess from the meats; the Wakame Salad is made with seaweed and mixed greens tossed with Japanese citrus soy dressing. 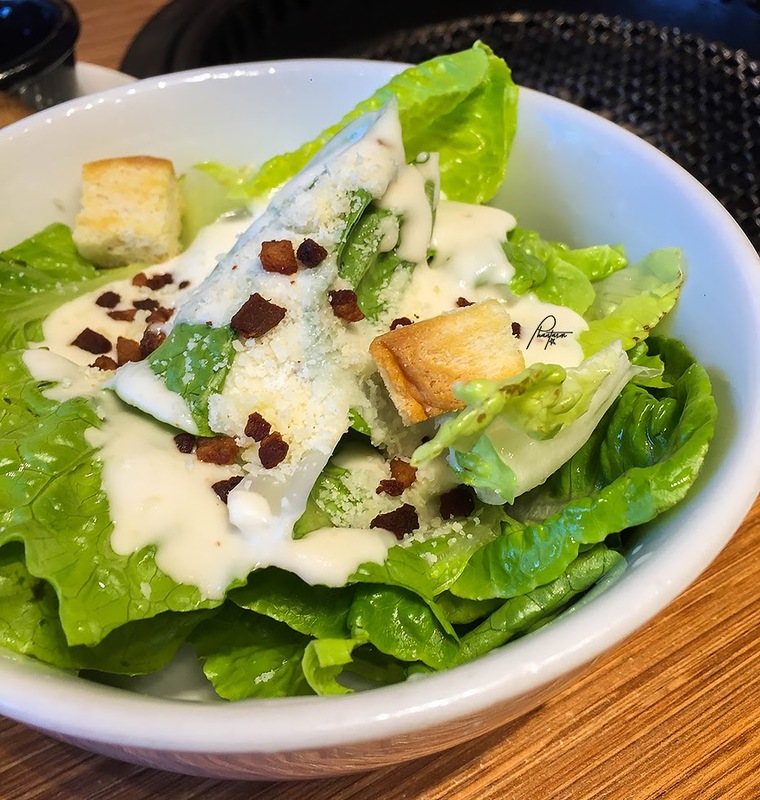 The Caesar Salad has greens topped with parmesan cheese. croutons and fried bacon with caesar dressing. 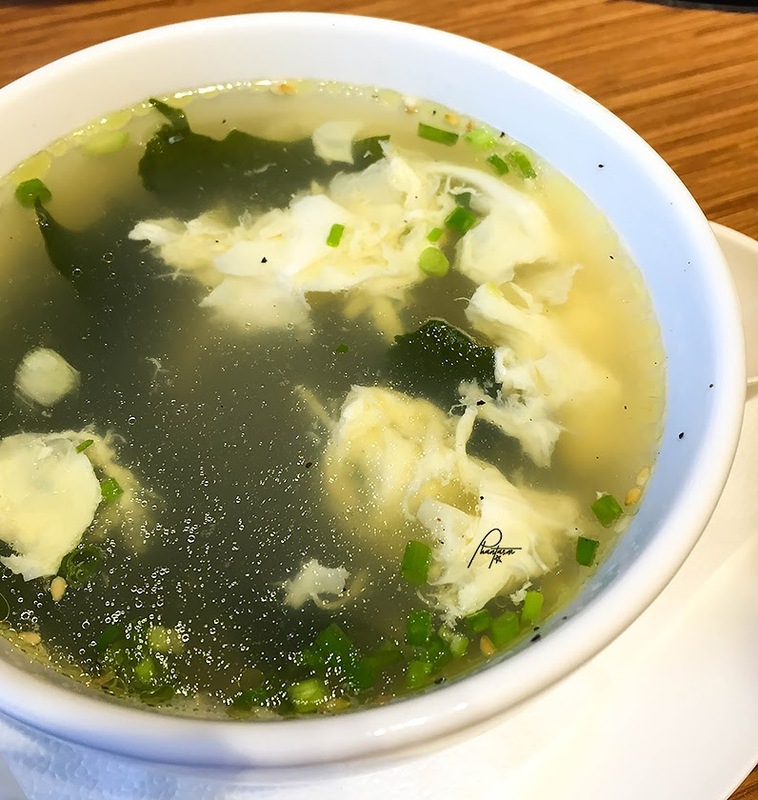 Wakame Egg Soup or seaweed with egg soup is also good if you want something different from the usual miso soup. For dessert, I tried both the Popcorn Ice Cream and Gyu-Kaku Ice Cream. 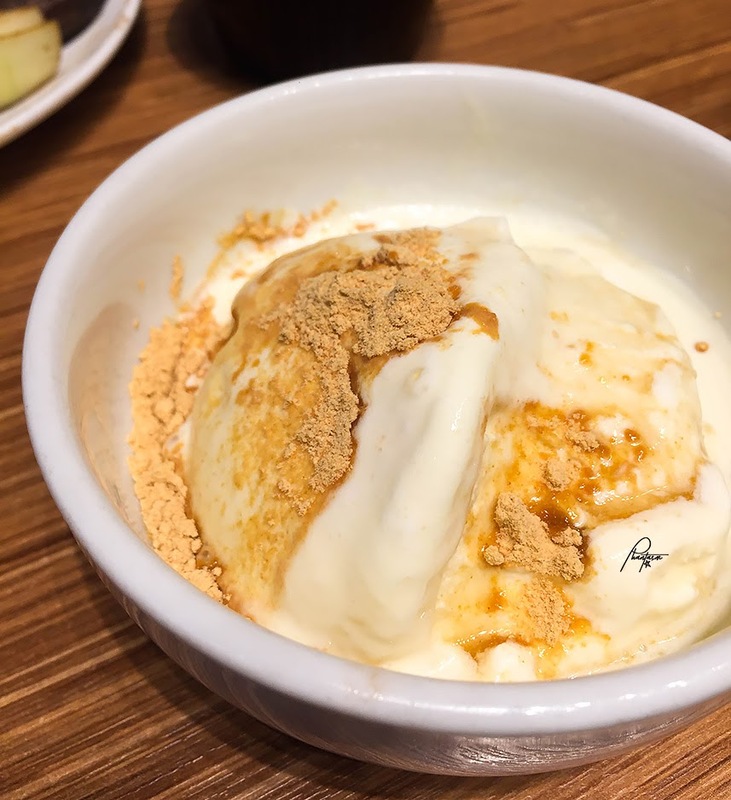 The Gyu-Kaku ice cream is a vanilla-flavored ice cream topped with soya bean powder and Japanese brown sugar syrup. 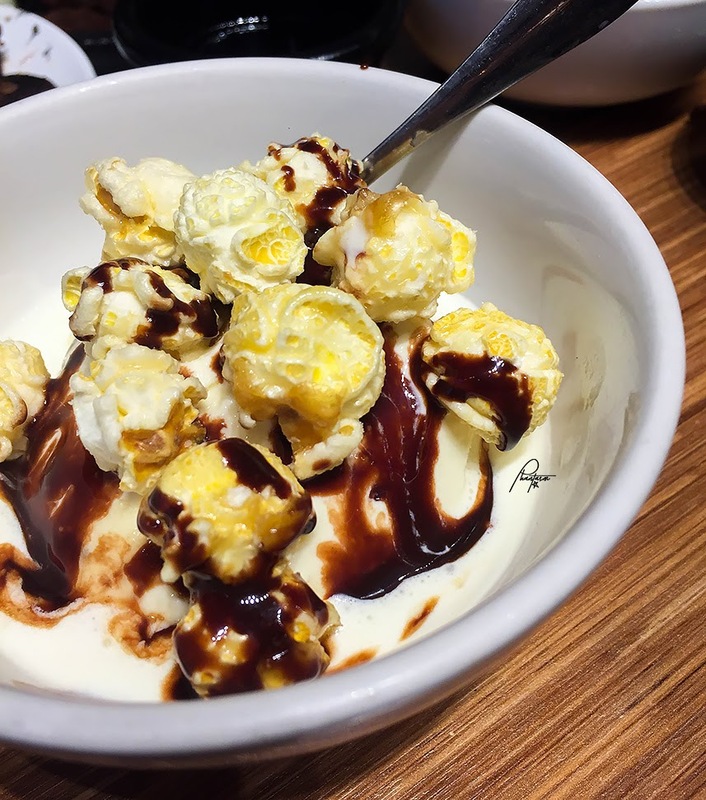 The popcorn ice cream is also vanilla-flavored ice cream topped with caramel popcorn and chocolate syrup. I liked the popcorn a lot--kinda like Chef Tony's Popcorn. Time's up! Eating to our hearts' content for ninety minutes was surprisingly sating. I thought it was not enough but it was just right. Got full with these awesome people. Also missed these girls, Rain (daughter of thepickiesteater.net) and Sabine (eatsplorations.com baby). 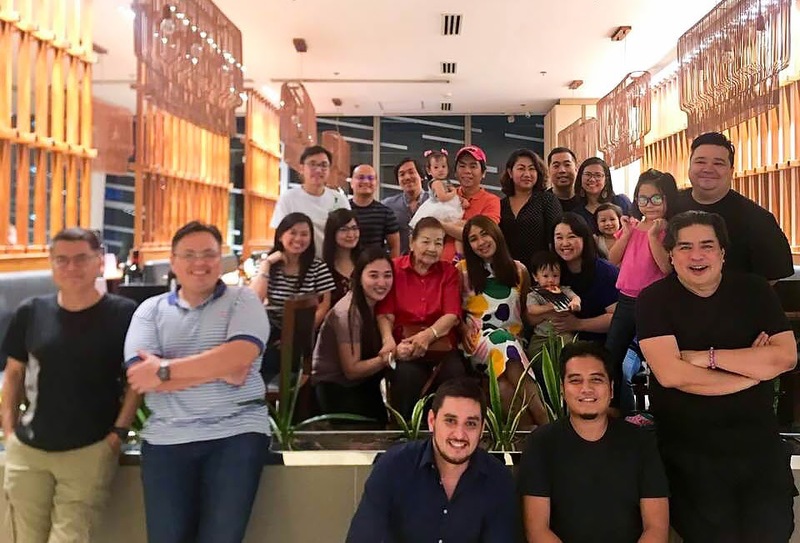 So glad to see them again.